Compact crossovers are one of the hottest properties in the auto industry right now, with manufacturers falling over themselves to get in on the act and grab their share of the spoils. But some manufacturers were in on the ground floor and are now firmly established as leaders in the segment, with Ford and Honda being two of the best examples with their big-selling Escape and CR-V models. It can be difficult to choose which one is best when there are so many being added and updated all the time, but the Honda and the Ford are still very much ones to beat. So, to help decide the better choice between these two extremely popular models, here's a 2017 Ford Escape vs. 2017 Honda CR-V comparison to try and sort things out once and for all. 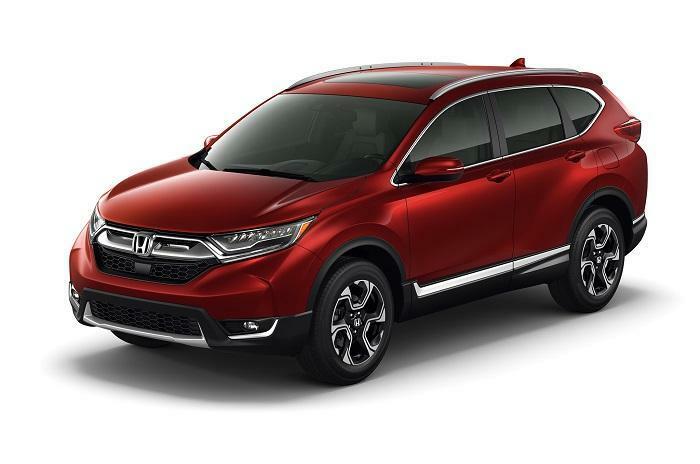 The 2017 Honda CR-V has recently been updated and now has a more imposing and dramatic look, but even some of its most ardent supporters would struggle to describe it as anything close to pretty. It's starting to follow what appears to be a largely Japanese styling theme for crossovers where they're beginning to look a little like something from a science fiction movie. The Lexus RX and the Toyota C-HR are two other, perhaps more extreme examples of this type of styling where bold lines and acute angles are all the rage. It's fine if you like it, but it's probably a little polarizing for some tastes. This year the 2017 Ford Escape has benefitted from a mild, mid-cycle facelift and it's made what was already a good looking compact crossover into an even better looking and more contemporary vehicle. While the Honda has you questioning whether you actually like it or not, the Escape is instantly pleasing on the eye and has a sporty feel that's also in evidence with the larger Ford Edge. The CR-V is fine if you do decide you like it, but it's a lot easier to fall for the Ford's charms. It's a pretty close call as far as the interiors of these two are concerned, and which one is best will probably be purely a matter of personal taste. The quality of the Honda is plain to see, and there's plenty of room for all five people when carrying a capacity load. As with the exteriors, the Ford is noticeably more youthful and sporty and although the vehicle as a whole is a little smaller than the Honda, the Escape makes sensational use of the space on offer. The Honda comes with most of the features and equipment you'd expect, but there's more standard and available kit with the Escape. Ford is building a useful reputation for giving buyers lots of goodies for their money, and the Escape is no exception at all trim levels. Neither of these two currently has a hybrid option, so it's a straight fight over which has the better gasoline powerplants. The 2017 Ford Escape has its nose in front right from the off here as it has three different engine choices, while the 2017 Honda CR-V only has two to tempt us with. The standard engine in the Ford is a 2.5-liter inline four that produces 168 horsepower and 170 lb.-ft. of torque, while the Honda's standard engine is a 2.4-liter four-cylinder. There's some real symmetry between the two when it comes to the next engine, which in both cases is turbocharged 1.5-liter four-pot. However, that's where it concludes for the CR-V while the Escape forges ahead by also offering a sensational 2.0-liter EcoBoost four-cylinder that puts an impressive 245 horsepower and 275 lb.-ft. of torque at your disposal. With more choice and a whole load more available power the Ford is the clear winner when it comes to engines. The CR-V doesn't look particularly sporty and we've already established it doesn't have as much available power as its Ford rival. It probably won't come as a surprise then, that even though it's followed many of its rivals by embracing turbocharging, it's still not exactly an exhilarating vehicle to drive. It does deliver composed handling and a comfortable ride, but it won't be setting too many pulses racing or raise too many smiles from driving enthusiasts. By way of an absolute and total contrast, the 2017 Ford Escape drives and handles unlike any SUV or even crossover you care to imagine. In fact, the Ford handles and accelerates like a sharp, engaging and even exciting liftback, but one that just happens to be bit higher and has more internal cargo and passenger space. We only have to look at the sales figures for the 2017 Honda CR-V to know it has to be a serious contender in this segment, but the 2017 Ford Escape is also a huge-seller and it's not difficult to see why. 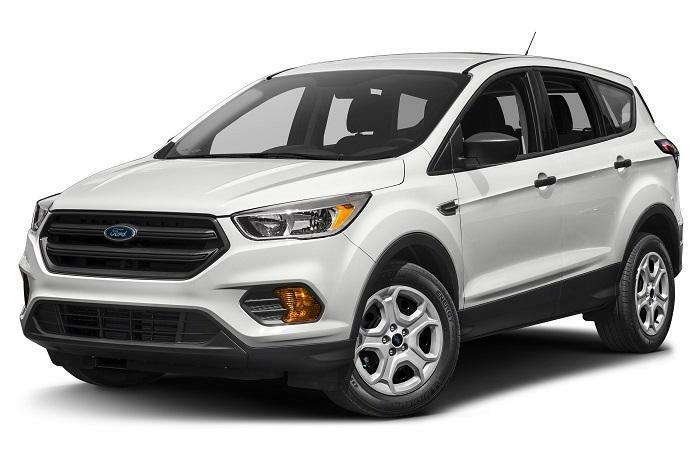 The Ford's sporty and more youthful style and feel is likely to appeal to a wider audience than the Honda, and the Escape's lower pricing is just another reason why it has the edge over the CR-V here.